The length of a landing page is a bit like the recipe for a good chilli: everyone has their own ideas about what should go in, and some passionate reasons why their version is superior to all others. Unfortunately, the opinions you often hear about landing page length are just those – opinions. They tend to be based on personal experience, rather than rigorous A/B testing. Or, they are based on what's been passed from one person to another in some form of conventional wisdom that doesn’t always hold up. My own interest in the topic was reignited recently when a handful of clients started asking us to create long-form landing pages (the kind featuring lots of "convince them" type copywriting). Since not everybody has the luxury of generating five or six different versions of every landing page style on their site to perform A/B Testing, how can we figure out whether they need short, snappy conversion pages, or long ones with lots of persuasive content? First of all, neither longer nor shorter landing pages are “better.” Rather, either style can be appropriate depending on the particular type of product, service, or situation you find yourself in. Take marketing out of the equation for a moment and think about your own reading habits. You might spend a couple of minutes on a quick article that introduces a few tips. Or, you may be willing to spend days digging through your favourite novel. Likewise, you may devote more time to something that could lead to a major decision with big consequences, even if there are lots of statistics, references, or technical details. In other words, everything is going to be predicated on how much you have to say, what your readers interest level is like, and what sort of commitment they are going to have to make with the decision they are facing. Check out the offers you see on the Kayak Online Marketing blog and you’ll be directed to landing pages that are short and to the point. There’s a good reason for this: you are in the middle or at the end of a series of communications (social post –> blog–> landing page, etc... basically, a funnel). You wouldn’t find yourself on one of these pages unless you were looking for "more" info. On a related note, we keep the download forms on these items quite short and simple. In this kind of situation, there’s no need to over-explain, because you already know what you are doing and what you are looking for. Likewise, it’s clear what you'll get in return for your email. Heavy doses of persuasion aren’t really called for. As Sherice Jacob via Unbounce points out, shorter landing pages work well when a prospect or visitor is already familiar with your company or brand. The first hurdle to any conversion is convincing someone else that you're credible. If you’ve already cleared that obstacle then there is less that needs to be said. While shorter landing pages can be used to generate impulse conversions, bigger decisions require more explanation, assurances, and supporting facts. That’s why you tend to find long copy landing pages at the end of advertisements, email campaigns, and other 'siloed' transactions. The goal of the long-form landing page is to “close the deal” with lots of information because prospects aren't as aware of what the product or service are, having come from a more distant source. Crazy Egg has a great perspective on this, reminding us that more content can be used to rationally justify a big buying decision. Although human beings make decisions on an emotional level, they often look to supporting details (like testimonials, statistics, and money-back guarantees) to back up what they are feeling. Generally speaking, information-intensive conversions are best suited for long-form content. When real money is on the line, people want to know what they are going to get, and they need to have any lingering questions or doubts answered before they’ll take the next step. Looking at the best uses of each type of landing page, we come back to the point that matters: either a very short page or a really long one can be the perfect answer, depending on what you are offering and whom you’re trying to persuade. 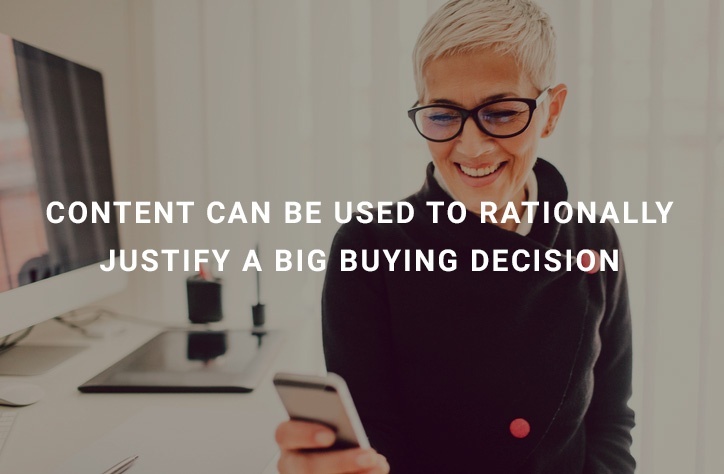 You give more content when it’s needed to explain or justify a big decision; you dispense with all the extra paragraphs and visuals when they just get in the way. 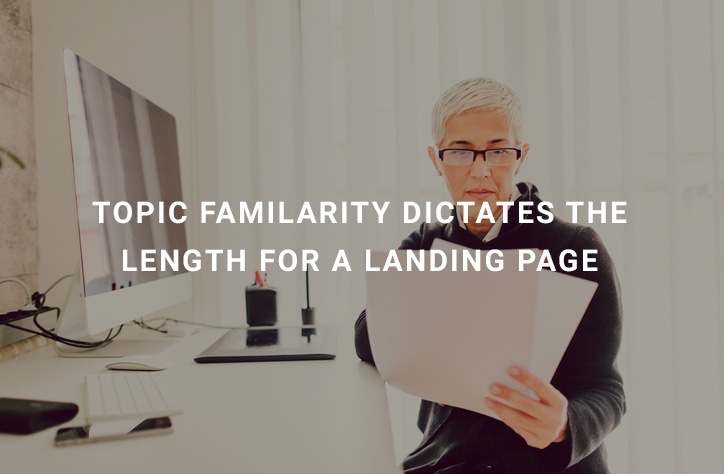 No matter how much common sense we inject into the discussion, it’s virtually certain that some marketers are going to hold on to their own preferences when it comes to landing page length. And of course, things are always changing, with mobile design, online video, and other factors altering the appearance and structure of landing pages in new ways. 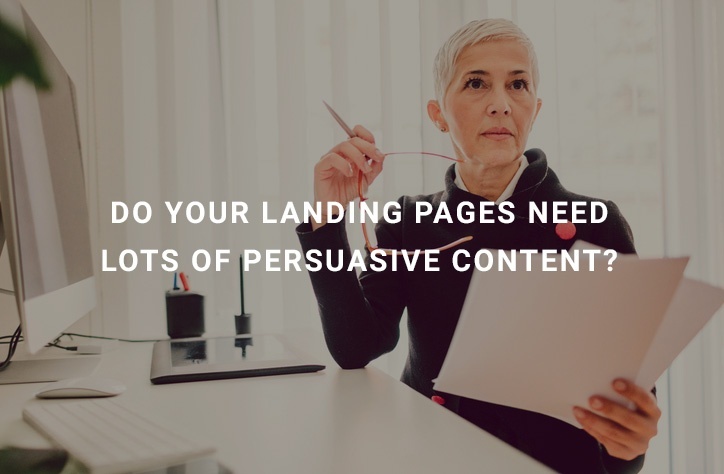 As a rule of thumb, though, you should set up your landing pages according to the needs of your customer and the marketing goals you’re trying to achieve, not a predisposed notion of how long they should be. Be sure to measure and refine to improve your conversion ratios regularly. Keep that in mind, and you’ll have an easier time finding the right recipe for success. And, if you've found this article informative, please consider subscribing.